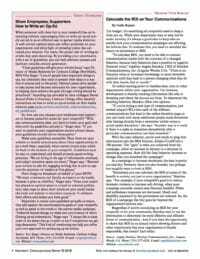 Publications Archive - Sinickas Communications, Inc.
Angela Sinickas is a widely-published author. 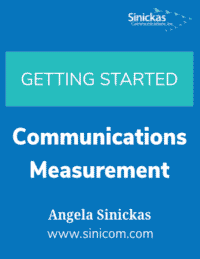 She has written a university textbook, book chapters, white papers, and regular columns for Melcrum's Strategic Communication Management , Best Practice Measurement , and Total Communications Measurement , as well as IABC's Communication World and many others. First time here? Get up to speed by reading Angela’s most popular publications. To narrow your search results, enter a search term and/or select a category (broad topic), keyword (narrow topic), or publication date. Click "Show Publications" to display your results. 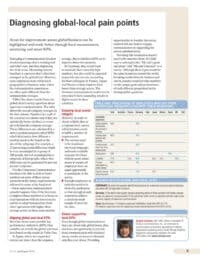 Angela Sinickas explains ROI for nonprofits to Yvette Boysen: “To calculate ROI, you need to be able to connect communication inputs with an output of changed behavior.” Nonprofits may also be to calculate the ROI in terms of the benefit to society. 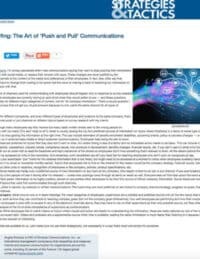 I’m always perplexed when I see communicators saying they want to stop pushing their newsletters by email, or replace email with social media, or replace their intranet with apps without first researching the appropriateness of the channels to the content or the needs and preferences of their employees. We know measurement can be a bit of a pain. It can be one of the most frustrating aspects of working in internal communications. That’s why we’re showing you how to make it painless! 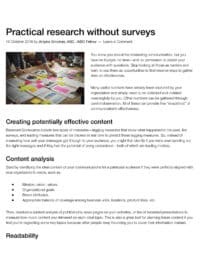 You know you should be measuring communication, but you have no budget, no time–and no permission to pester your audience with questions. Stop looking at those as barriers and learn to see them as opportunities to find creative ways to gather data on effectiveness. 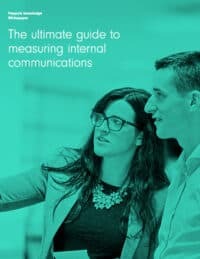 This guide helps you understand three aspects of measuring the value of communications: why you should measure, what you can measure, and how to measure communication effectiveness. The grids in this guide should serve to make executives more aware of possible differences in the countries they visit to enhance their own effectiveness as communicators and to strengthen employees’ perceptions of them as excellent leaders. The grids provide suggestions when traveling to other countries for adapting several typical aspects of meetings that executives conduct with either other executives or with employees. 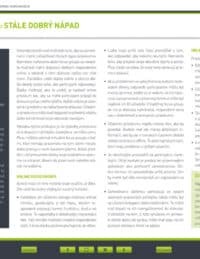 Article in Slovakian on measurement tips. Areas for improvement across global business can be highlighted and made better through local measurement, mentoring and smart KPIs.